Relay G50 represents a revolution in wireless technology. 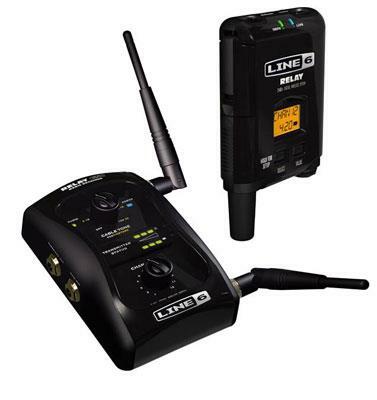 It provides wired tone, uncompromising dependability and simple operation on every stage around the world. 12 channels, 200-foot range. Thanks to superior specs and exclusive VWT™ digital technology, Relay wireless guitar systems sound as good as a high-quality guitar cable. Multiple sets of antennas, proprietary DCL™ signal protection, and a 2.4GHz broadcast let you relax and perform with confidence. Power up, pick a channel, and go! No hunting for frequencies, and no hassles. Worldwide.